Building pride. Building hope. Building community. For those living in Sydney's inner-city suburb of Redfern, 'the Block' redevelopment signifies a revitalisation of their community. In December 2012, the Aboriginal Housing Company (AHC) received development application approval for the redevelopment of the area called 'the Block': the immediate area around the Redfern station. 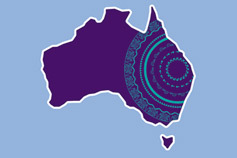 The AHC is an independent not-for-profit organisation and was the first community housing provider in Australia. "The Pemulwuy Project will change history. The team out there are bringing the dream to a reality." The new development called the Pemulwuy Project, will involve building 62 affordable homes including 36 three and four bedroom townhouses and 26 two and three bedroom apartments, a 154 bed student accommodation, offices, retail shops, a gallery, a gymnasium, and a child care centre for 60 children. By working to break the cycle of poverty and drugs that has plagued the Aboriginal community in Redfern, the AHC aims to make 'the Block' the place to be – an exciting area to visit, to live in, and work in. The AHC is currently seeking debt and equity funding for the $70 million development. With the support of KPMG, AHC has developed a financial forecast model to assist them in the financing process. It's been a long time in the making, but the Pemulwuy Project will ultimately help create a positive impact in both the area and those who live there. It’s a great step in promoting self-determination and pride of self for Redfern's Aboriginal community and a long-delayed change in the general public’s attitude to 'the Block'. We're proud to be part of this journey.